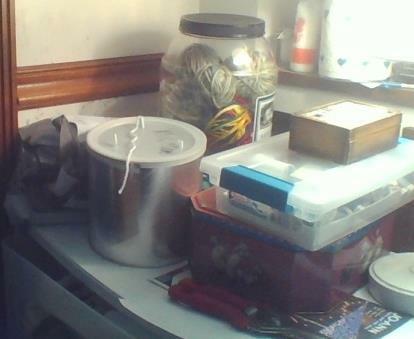 I decided today to organize my sewing area….. 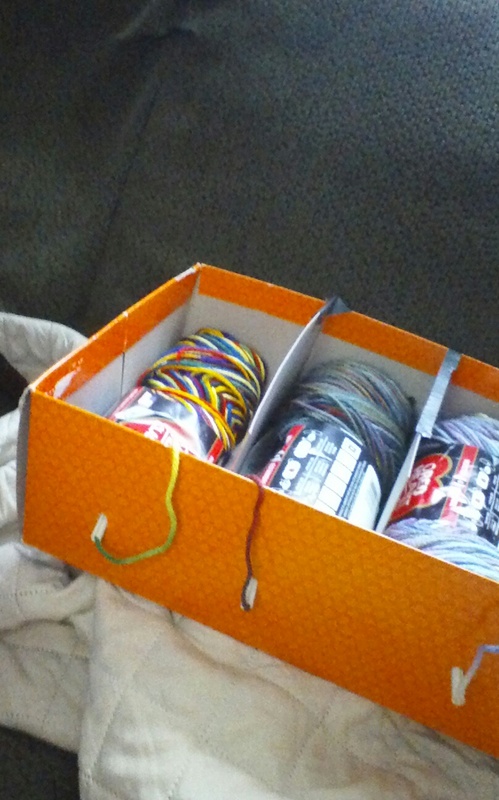 It was a big mess…. 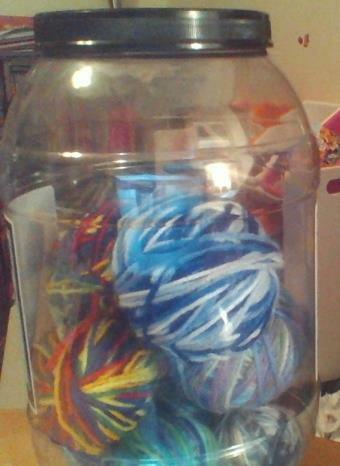 Next, is to organized my fabrics….since my yarn is organized already…. I might be able today to work on my school work…. But, Today is a different story…. Has been one of those days…..
Everyone is moody because of the heat…. Is this what I have to look forward to during the summer? I have to wait until almost eleven tonight to work on my homework for school…. So far,I am six rows in.. 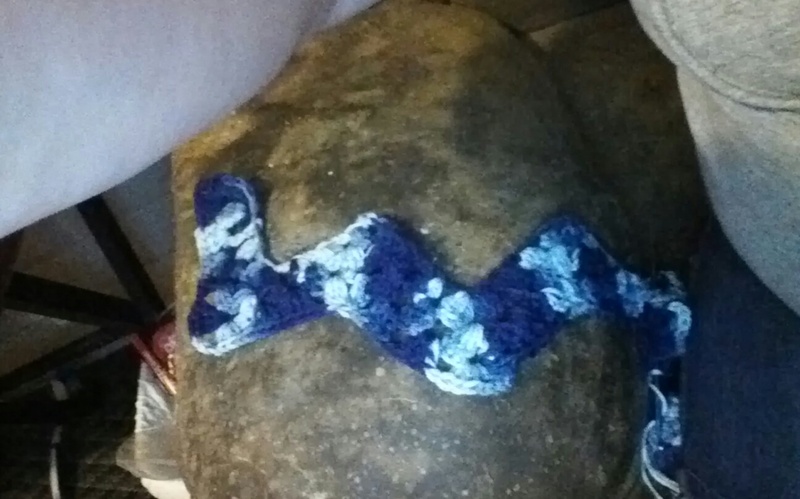 It actually looks like a ripple stitch…. Happy Memorial Day ,Everyone !!! 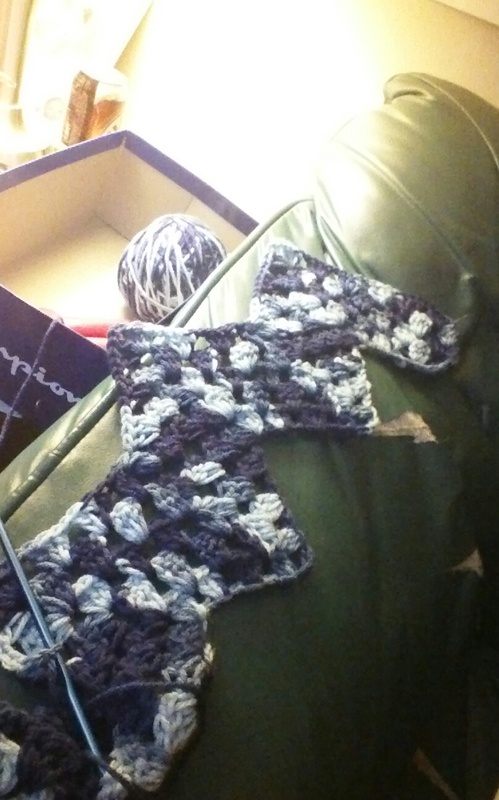 I pulled the yarn through the holes….